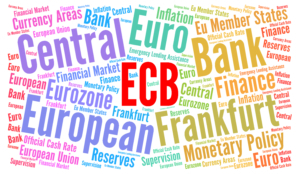 Today is Monday 28th January 2019 and we are looking at European Central Bank President Mario Draghi’s comments made today against the backdrop of minimal growth of the 3 largest EU Economies – Germany, France and Italy –and even poorer future projections. Now this follows the Bank’s repeated warnings of slower growth in the future. Last week the ECB left its interest rate and economic policy on hold but issued a warning that lower growth prospects could worsen and last longer than originally feared and that although they had cut back on its QE programme, It may have to reverse and enlarge it to support this downturn. it could offer banks another round of cheap, long-term loans to make sure they continue to lend to the real economy. It could put off any envisaged first rate hike later into the year but this would tie the hands of a new President who is likely to be named after the European Elections in May. So, we have a prospect of the Bank of England being cautious because of Brexit, the ECB likely to revert back to some form of QE programme and the FED offering a Dovish tone for 2019 – thereby keeping interest rate rises in check and possibly reversing its Quantitative Tightening Programme. With China and much of the world forecasting lower GDP growth for this year it does not bode well for consumer sentiment which invariably will cause consumers to reduce spending out of fear, and thereby potentially exacerbate the problem and making it worse. So, the obvious question then of course is what will happen to gold and silver prices against this back-drop? Well that is the $64,000 question. If you look over recent history from the 70’s until today, we have had gold and silver rise and fall when rates have risen and rise and fall when rates have fallen. So, if we were to assume that we will have lower growth globally, this will indeed affect the demand for silver by Industry (which represents close to 60% of demand). This will have a negative impact on silver prices. Conversely lower growth rates are likely to lead to fiscal stimulus and lower interest rates which invariably improves the opportunity cost situation for holding gold – in other words the lower the interest rate, the less you are losing by holding gold compared to say Bonds or Government Securities or Gilts as we call them in the UK. So, this should be good for gold prices and therefore for silver ones too which will benefit by association. How that balance pans out of course depends on severity of global demand demise and levels of stimulus introduced. Either way we are beginning to witness a scenario whereby all of the major currencies may find themselves under pressure – the US Dollar, the British Pound, the European Euro and the Chinese Yuan or Renminbi. By definition this could reduce the demand for gold because pro rata it becomes more expensive in those currencies. But much depends on their inter-relationship of course. So, we could indeed find ourselves in a situation whereby the gold price initially rises and then falls back again, similar to 2009 – 2011 and then from 2011 – today. Now we are not predicting this as yet, as we haven’t undertaken all of the necessary calculations, and when we do, we shall publish this within the Inner Sanctum first. However, to all of our subscribers we alert you to at least, look at these measures and what the main Central Banks are doing, because whether you love them or hate them, they certainly have an impact on all of our lives.